The druids of Great Britain are ready to support a massive new addition to the UK’s road freight infrastructure: A tunnel that would take traffic around and below Stonehenge, improving links between London and the South West. Of course, there are strings attached. Last week, John Cridland, the director-general of the Confederation of British Industries, asked for a new tunnel to be built under the World Heritage Site, as a move to improve traffic on the traffic-jammed road that skirts it. Surprisingly, the druids are on board with the plan — they just want it to be more ambitious. The A303 is one of the UK’s busiest road freight routes; it links London with the South West. 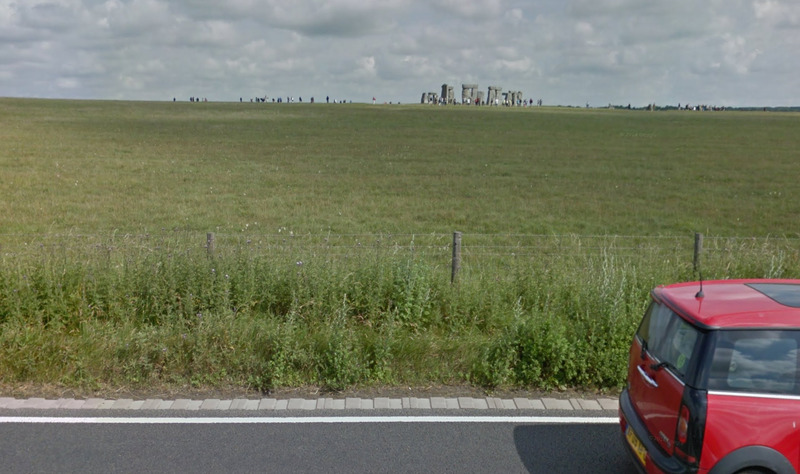 But it’s just a few hundred metres from Stonehenge, the mysterious megalithic site that is more than 5,000 years old. Vibrations from the intense traffic are slowly damaging the stones. 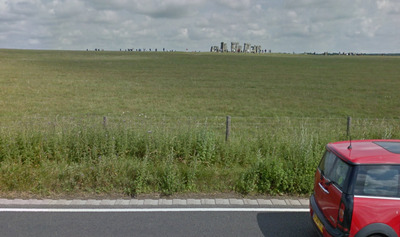 At the same time, the road gets even more clogged around Stonehenge because of many drivers slow down to take a picture of the monument from their car windows. Plans for an alternative route and a tunnel date back 20 years, but in 2007, the last time the issue was brought up, the plans were scrapped for budgetary reasons. The recent call from Cridland has brought turmoil to the druidic community, for whom Stonehenge is not only a historical landmark, but their primary religious site. The druidic cult at Stonehenge is massive: in June, 37,000 people gathered there for the summer solstice, the main festivity in the druidic calendar. What the druids want is for the tunnel to be as far as possible from the site, as he explained in an open letter to The Guardian. A deeper, farther tunnel would save the stones from dangerous vibration, as well as safeguarding the landscape around the site. 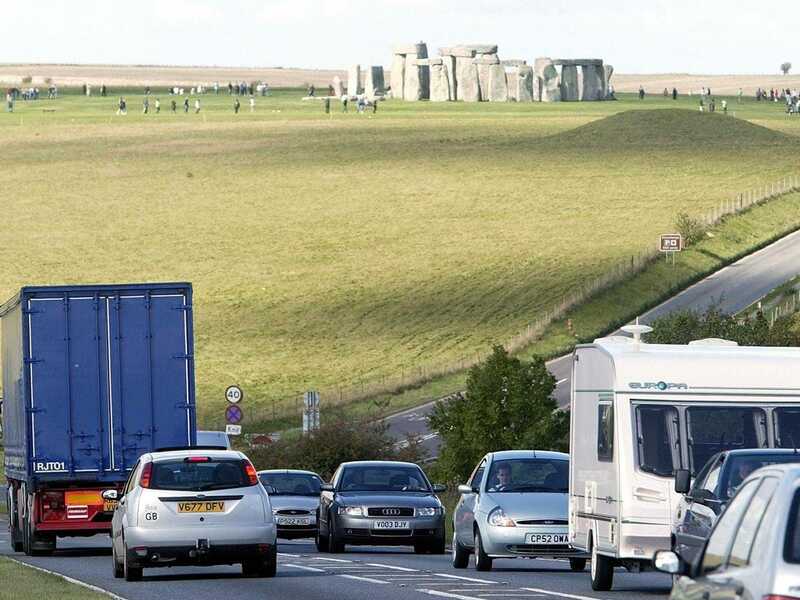 This would increase the cost of the operation: a simple tunnel on the same track of the A303 would cost about £200 million, while the state-of-the art infrastructure requested by the druids would be closer to £1 billion. According to Maughfling, the druidic community would support a safer [and more expensive] solution, and in fact a campaign was launched on the 38 Degrees website a couple of weeks ago to ask the Government to make a deeper tunnel. But for some of the Druid there is an even more pressing issue: The dead. Stonehenge was used as a burial site for thousands of years, and any digging in the ground is likely to expose some ancient bodies. It has already happened in the past, and the corpses were put on display in the visitor centre nearby. Many of them are older than the Roman conquest of Britain. Historians regard the skeletons as archaeological relics rather than corpses, like the mummies of Egypt. 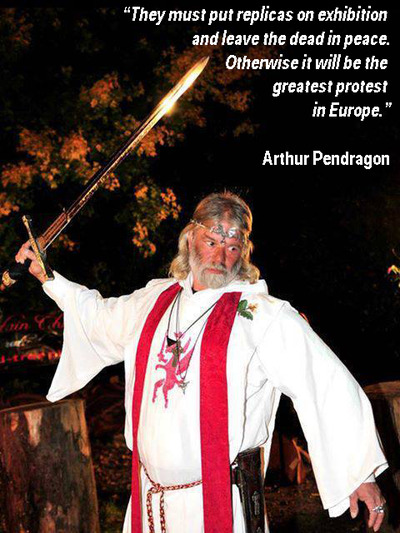 For the Druids, this is outrageous: “They need to guarantee us that the dead will be treated with respect,” Arthur Pendragon, another senior druid connected to Stonehenge, told Business Insider UK. The County Council of Wiltshire, which Stonehenge is part of, has yet to take a position on the issue. But “any improvement in the infrastructure is more than supported,” a spokesman from the Council said. The National Trust, which manages the site, has also endorsed the improvement: it is up to the Government, now, to approve the investment.